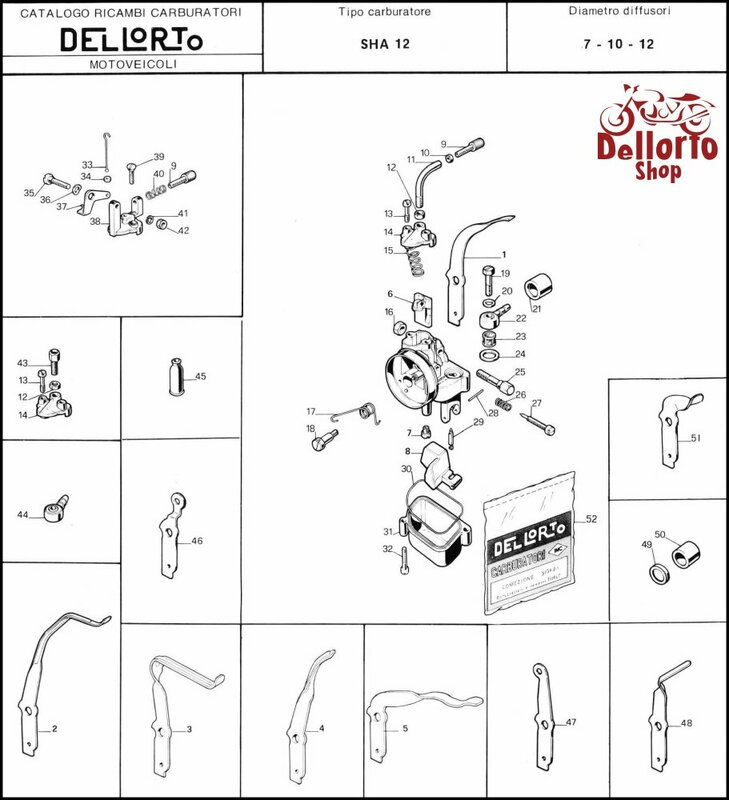 Dellorto factory-original service kit for the early Dellorto SHA 12 series carburetors with rectangular float bowl. 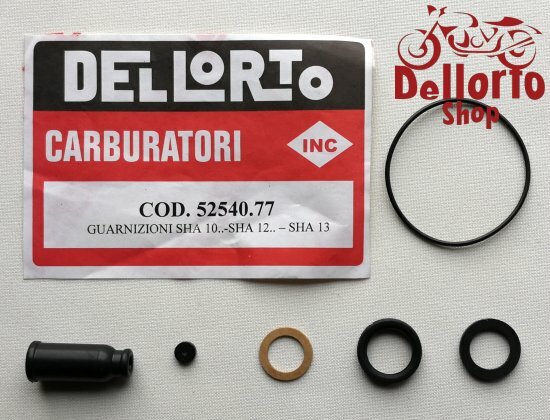 Contains the seals, o-rings and other parts to freshen up 1 carburetor. 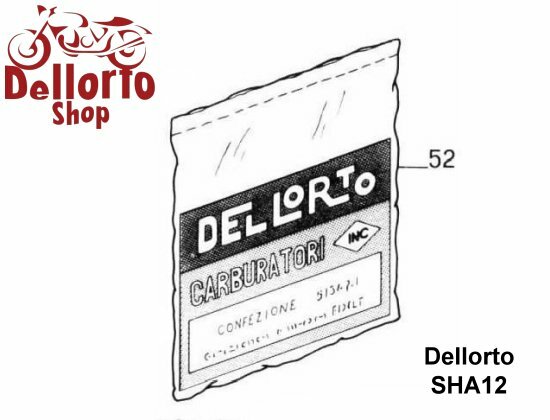 This is item number 52 in the drawing.